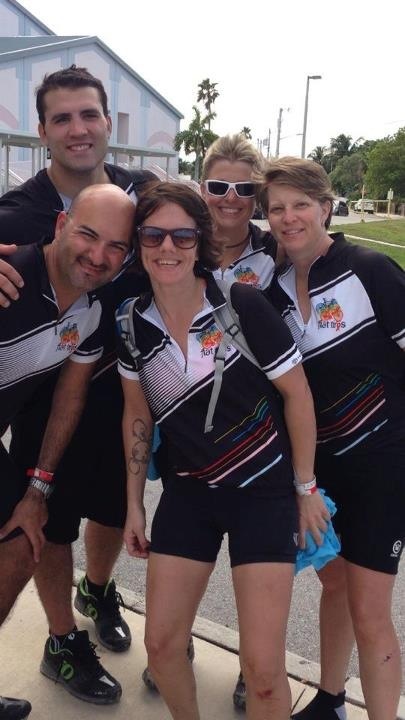 For the past two years, I have ridden a charity bike ride from Miami to Key West. This journey is a whopping 165 miles. It takes a lot of training and is totally worth every aching muscle. This year was amazing! I got to spend time with new friends and old friends alike. A lot of memories were made. Team Flat Tires may not be the fastest, but we are pretty damn incredible! I got a flat tire on the seven mile bridge.